Save memory for more content. Features extremely tight packing. Allows for an additional 30%-90% free space compared to square or other concave packing algorithms. Per sprite settings. Precise mesh shape adjustment for each sprite, Spine atlas attachment. Optimal Concave or Convex mesh generation from sprites. 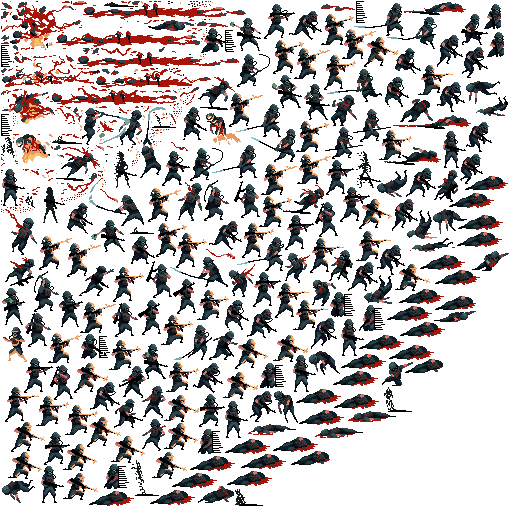 Precisely define sprite meshes for the best result or future manipulations. Useful for the mesh run time deformation, like cloth, verlet or any other. You have the ability to create textures with different data but share the same UV coordinates and mesh shape. Great for applications such as normal maps, glow maps, etc. Repack / combine multiple Spine animation atlases into one texture. Repack UVs in FBX files and merge multiple textures into one. Frame index, timeline position and delay are stored in export mesh names. © 2014-2018 SpriteUV All rights reserved.